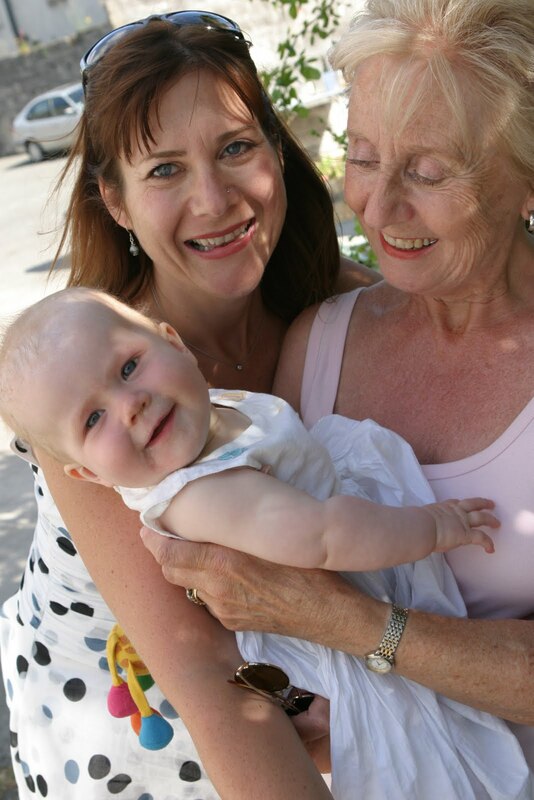 As I cling to my new baby’s life, I watch my mum’s old one slipping away. Old, but not done. Not by a long shot. She may have been in her 70’s but she was as lively and vivacious as always. She did water aerobics twice a week, walked very day, did the crossword and had a more active social life than me. Always glamourous, she never left the house without lipstick. I am a young mum, and am too young to loose my mum. Who will call me every morning to see how my night has been? Who will I call every afternoon to hear how her day has been, and be told how cold it is, even when it’s 20 degrees? Who will call me every evening during the kid’s tea, saying “I know it’s a bad time, but….”? Who will fix my knitting? Who will turn their face to the sun with me as we sit outside and watch the girls play? Who will hold my hand, despite me being 40 years old? Who will stroke my face? Who will tell me I’m talented and amazing? Who will tell me I’m spoilt and need to grow up? Who will help me make all the forthcoming birthday cakes? Who will I call when I can’t make gravy? Who will I want when I’m ill and no-one will do but her? Who will I share all my joy and pain with? Who will I share my everyday moments with over a cup of tea and a chocolate (“You can never have a cuppa without a bite of chocolate”)? The void she is leaving is too dark, too deep, too dangerous, too frightening to behold right now. All I can do is hold her hand. I suspect my three girls will hold me back from the edge. I hold her hand every day, a hand that has touched and guided me my entire life. I stroke her face, a face that has filled my vision more than any other face in my life. My heart is breaking, and the person I need to fix it can’t help me any more. This entry was posted in mum. Bookmark the permalink. i am so sorry you are going through this. be well. there are no words. just know you are buoyed by many around the world who come here, as well as your family and closer friends. Oh – this is so moving. I am sad for you and for your mother too. Take all the love you can from those around you. Of course your girls will keep you safe. This is lovely writing, but I'm so sorry to read it and know you are going through such pain. Perhaps being able to physically hold her hand is a blessing of sorts. I am going through this same thing, but we are separated by 3000 miles. Sending you good wishes and a hug across the pond. I cannot find the right words but I wanted to tell you I was thinking of you.